Send a card, not a text. 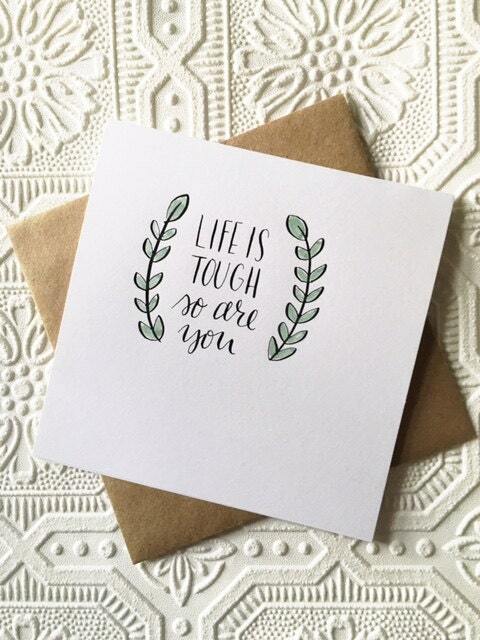 This darling made-by-hand card is perfect for letting loved ones know they can do it - whatever the challenge may be. This square card measures 5.5 by 5.5" and comes with a kraft paper envelope. Other colors available by request. 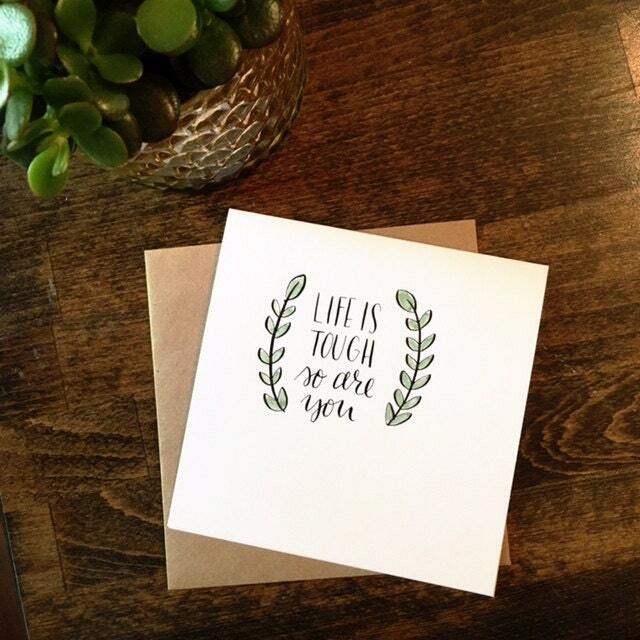 Cards are individually handmade (no printing here) with pointed-pen calligraphy and watercolor on white cardstock. Each card will vary due to the custom nature of my work. Card is blank inside. NOTE: Please upgrade to priority shipping if you'd like tracking on your card order. Standard shipping does not include tracking. Love this style but have another color or phrase in mind? Message me about a custom order! 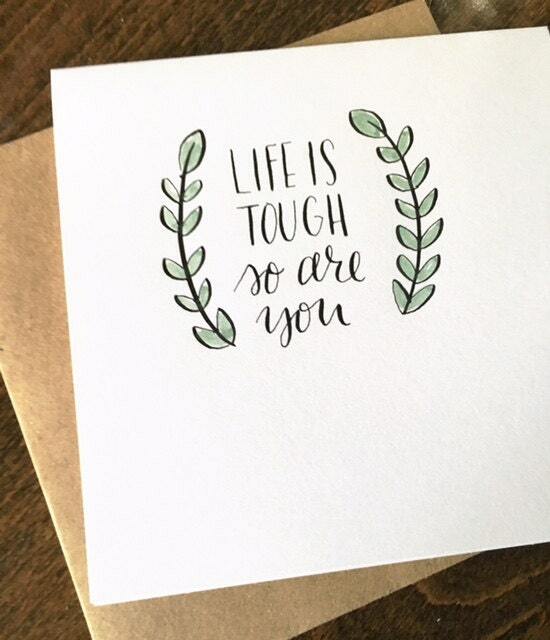 Very cute encouragement card. Very pleased.